This recipe comes from High Tea, recipes with a sense of occasion. 2. 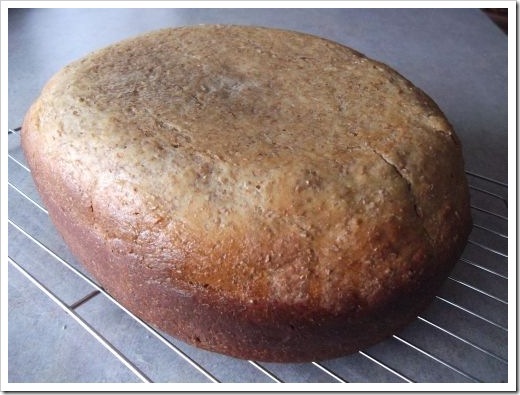 Grease a 20 x 30 cm (8 x 12 inch) baking tin. I use baking paper, which is much quicker. 3. Melt the butter and golden syrup in a saucepan. Remove from the heat and add the cider. 4. Sift the flour and ginger into a bowl. Stir in the sugar, dates and walnuts. 5. Beat the egg and add along with the butter mixture and spoon into your tin. Smooth out. 1. Peel and core the apple and slice thinly. 3. Add the butter to the sugar, flour, apple and walnuts and combine well. 4. Spread over the uncooked base. 5. Bake for 30 minutes until golden. Cool in the tin, cut into pieces and serve. 1. This was delicious and would be nice served hot with a little yoghurt or cream for dessert, but it was also great with a cup of tea. 2. I’ll be making this one again since both hubby and I enjoyed it very much. 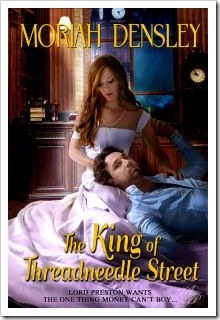 I bring you a historical with a very interesting title today—The King of Threadneedle Street. It was the title that grabbed my attention and made me look closer. 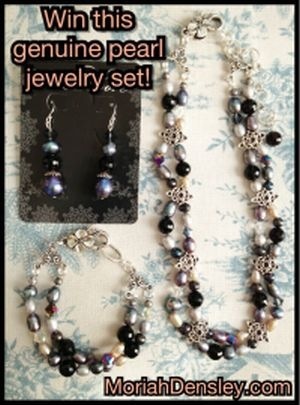 Please welcome, Moriah Densley, and make sure you leave a comment to go into the draw to win some beautiful jewelry. CONTEST: Go into a draw to win a genuine Victorian-style pearl jewelry set inspired by the book, including necklace, bracelet, and earrings. 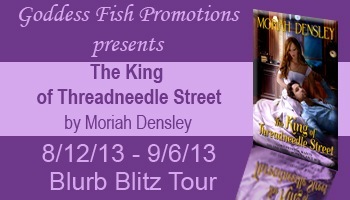 To receive more chances of winning follow the rest of Moriah’s The King of Threadneedle Street tour. The Bottom Line, the first book in my Love and Friendship series is out a blog tour this week, and Past Regrets, the second book in the series is due out on 10 September. 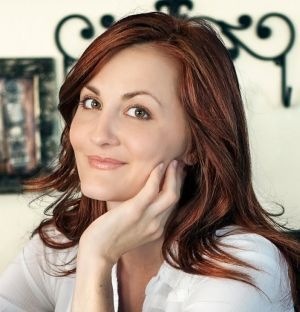 I bet you can’t guess what the least glamorous thing I do every day is…find the answer in the Fierce Romance interview! I’m visiting Heart-Shaped Glasses where I’m talking about earthquakes among other things. Heart-Shaped Glasses has a travel theme this month and there are lots of excellent posts to check out. All The Better To Eat You With! I’m visiting Mychael Black today and talking about sharp teeth – all the better to eat you with! Do You Know Your Kiwis? 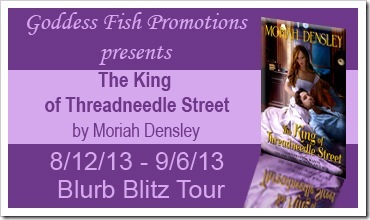 I’m with Taige Crenshaw and have a post and contest. 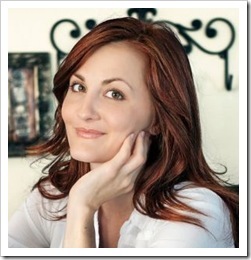 I have an interview and contest with Kate Hill. 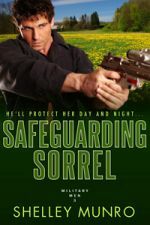 And I have a writer craft post over at Savvy Authors. During the weekend I experimented with two different recipes. 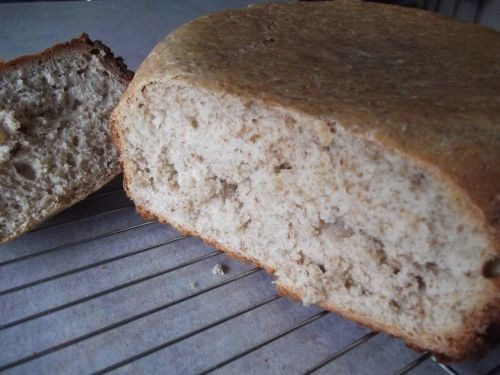 There was the Ginger Oat Slice, which I posted yesterday, and today I’m posting the recipe for Bread made in a crockpot. 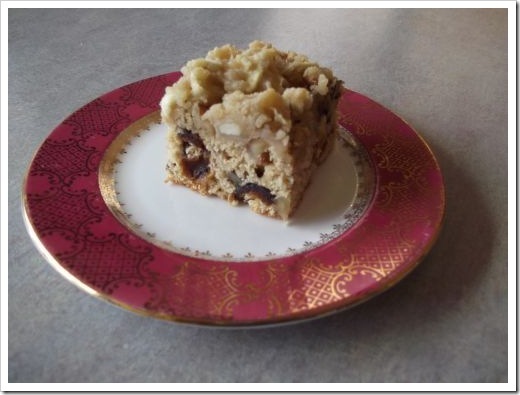 This recipe came from Robyn Martin Bakes recipe book. 1. Place the yeast in a small bowl with 1/2 teaspoon of the sugar. Add 1/4 of a cup of the warm water and leave for around five minutes until it looks frothy. 2. Place flour and salt plus remaining sugar in a bowl. Add the rest of the water plus the yeast mixture to the bowl and combine well. 3. Turn out onto a floured bowl and knead the dough until it’s smooth and elastic. Add more flour as necessary. 4. Oil your crock pot/slow cooker bowl and switch your crock pot onto high. 5. Place the dough into the crockpot and cook on high for two hours. 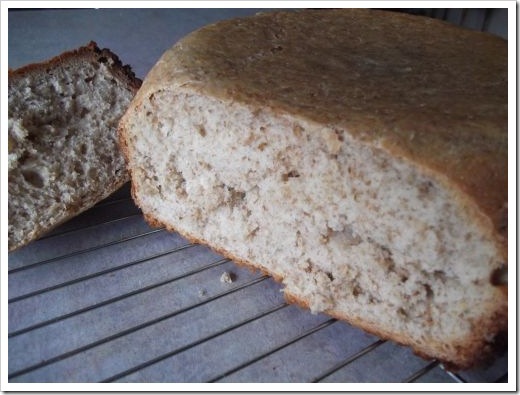 The bread is cooked when it gives a hollow sound when tapped. 1. I make bread several times a week and didn’t follow the instructions exactly. 2. After the initial kneading stage, I let my bread rest a bit in a warm place until it had risen. 3. Once it had risen, I punched it down and shaped it. At this stage I plopped it into my crock pot to cook. 4. I had to cook my bread for a bit longer than what the recipe said. I suspect that some crock pots are hotter than others. 5. 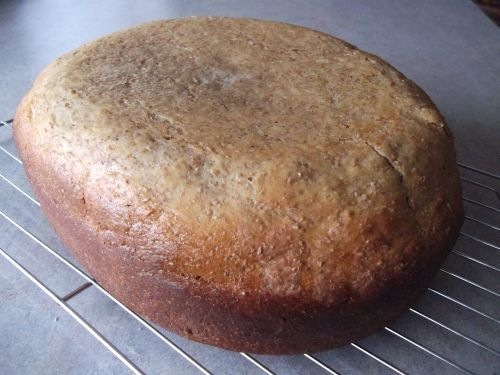 I also turned my bread over and cooked the top for about ten minutes before I took it out to cool on a wire rack. 6. The final result was soft and yummy. I’ll definitely make this recipe again. I’ll probably add sunflower or pumpkin seeds and experiment with different herbs and flour. Do you use your crock pot much? 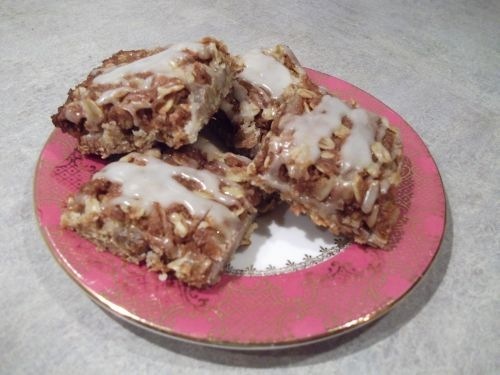 This is a new to me recipe from Robyn Martin’s book called Bake. 1. Melt the butter, golden syrup and sugar in a saucepan until the butter is melted. 2. Place the coconut, oats, flour, baking powder and ginger in a bowl and add the butter mixture. 4. Line a 20 x 30 cm tin with baking paper then press mixture into the tin. 5. Bake at 180C/350F for 20 minutes or until golden. 6. Mark into squares while still warm. 1. My final result looked nothing like the picture in the recipe book. It tasted great, but I’m at a loss to explain the difference. 2. 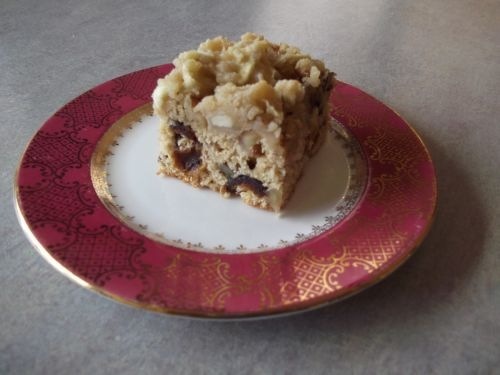 The square tasted good, but when I make it again, I think I’ll reduce the sugar a little. It was quite sweet. 3. I put a little lemon icing (frosting) on top – a sort of a drizzle – and that was a nice combination. I’m busy researching in preparation to write a new historical romance series. My chosen time period is 18th century England, and here is a list of my current reading. A book featuring some of the great houses in London with lots of great photos. Features the different interiors and furnishing of a Georgian building. Also a little about architects and the styles of house. 3. London in the Eighteenth Century by Jerry White, Publisher The Bodley Head. This book is full of great info on the people, the city, work in the city and culture. A history of residential squares in London. Georgian Britain’s most ineligible bachelor and his quest to cultivate the ideal woman. How we worked, played and lived. How the wages of sin shaped the city. A guide to nine walks that Jane Austen enjoyed. A guide to 18th century London. All sorts of interesting snippets on courting. A book full of social history details. Are you a big non-fiction reader? If so, what is your chosen topic?